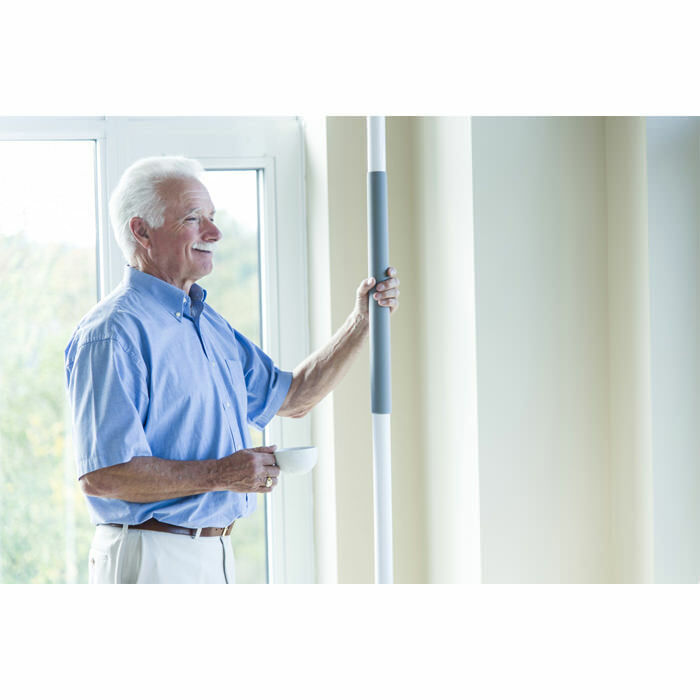 HealthCraft superpole stand assist system is a safety pole that can be easily installed between any floor and ceiling by simply turning a jackscrew. The pressure created by the jackscrew is strong enough to support the user, yet it does not require drilling holes into the floor or ceiling. This is ideal for relocating or removing the pole. Superpole system features non-slip, PVC closed cell foam (latex free) grip that provides comfort and an improved surface to grab onto. 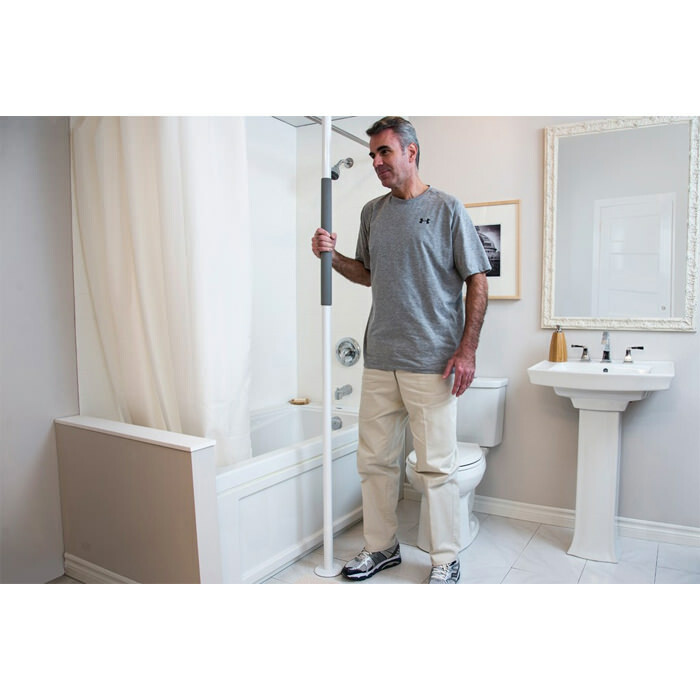 HealthCraft superpole stand assist has a clean, modern design that blends into any room. Superpole stand assist system is a modular support system designed for those requiring assistance with standing, transferring, or moving in bed. Stylish: Clean and modern design will suit any decor. Comfort: Foam hand grip provides a comfortable gripping surface, particularly useful for those with limited hand strength. No damage installation: Rubber pads on the ceiling plate and the floor plate hold pole secure and prevent marring of floor and ceiling, even stipple ceilings. 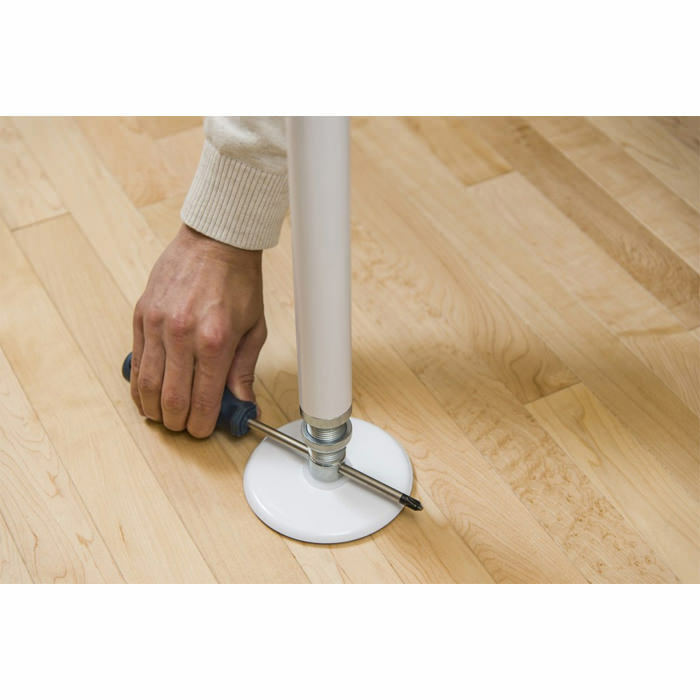 Versatile: Installs anywhere there is a floor and ceiling, placing transfer support directly where it is needed. Use it beside a bed, bath, toilet or chair. Custom ceiling heights are also available. Add on kits: The SuperPole can be multi-purposed to meet the changing needs: The SuperBar, SuperTrapeze, Uni-Fit™ Extender, Angled ceiling plate & Ceiling plate extender. Ease of installation: Quick and easy to install / relocate. Installs by turning the jackscrew at the bottom of the pole. 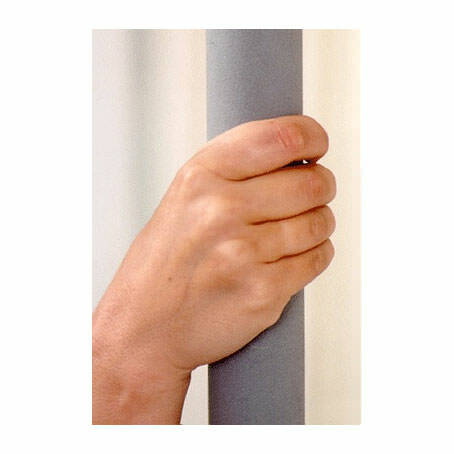 The screw “expands” the pole to create enough tension between the floor and ceiling to hold the pole “rock solid” secure.